We believe that everyone must contribute to creating a better world – both in terms of the environment and our fellow human beings. We are working in our daily activities to contribute to a sustainable future by reducing paper consumption, recycling and by using eco-friendly goods as far as possible. 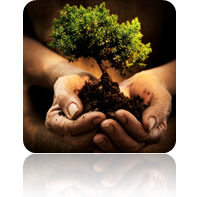 In our comprehensive environmental and responsibility policies, our suppliers too must weigh environmental considerations in everything from business travel and transport, to the choice of materials. 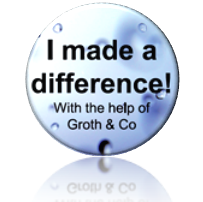 In recent years we have conducted a number of charity projects together with our collaborative partners under the slogan “Together We Can Make A Difference™”. Throughout 2018, we have chosen to contribute to We Effect and their long-term development work, focusing on innovation, education and financial aid. For each participant at our seminars throughout the year, as well as at our reception during the INTA conference, we donate funds for people around the world to find a way out of poverty. 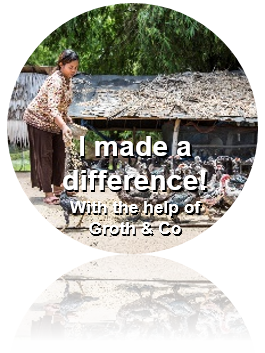 Our commitment ensured that 730 women in Cambodia got the education to join a savings and loan group. We Effect is an aid organization that has been thinking and acting long-term since 1958 – to achieve permanent changes. Help to self-help is the guiding principle in their work in 25 countries in four continents. Their efforts are mostly focused on rural development, housing, gender equality and access to land. In connection with the INTA conference in Barcelona in 2017, we chose to contribute to make living conditions better in the human disaster caused by the civil war in Syria. For each guest attending our reception during the conference, we chose to fund a doctor on site in Syria for one today. In total, this led to us funding a doctor in Syria for several months. The doctor works for the Red Cross. The Red Cross are on-site at different locations around Syria with mobile clinics, emergency services and ambulances to provide people with necessary medical care and medicines. 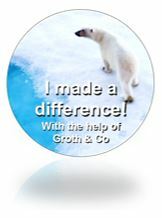 At INTA Conference in Orlando, we had reception at ICEBAR Orlando and chose to donate a sum of money per guest to our partner WWF to save the polar bear. The money was used to start up a polar bear patrol in the village Ittoqqortoormiit in Greenland. Climate change affects sea ice that melts rapidly and decreases yearly. Polar bears are dependent on sea ice to go hunting and to travel on to and from the den. When sea ice melts earlier and earlier each spring, more and more polar bears become stuck on land and will not reach the hunting ground where the seals are, which leads to starvation. During the past few years, more and more “stranded” polar bears go to villages to look for food, often garbage. This means more and more meetings between polar bears and humans, and therefore the risk that someone will be damaged, and at worst killed (often the polar bear is killed), increases. WWF has been working with the polar bear patrols in Russia, Canada and Alaska and their task is to decrease the number of confrontations between the polar bears and humans. 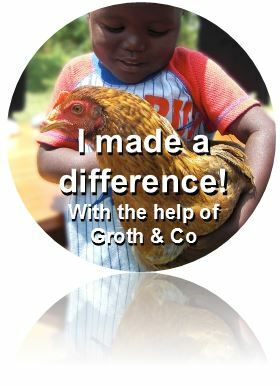 At the INTA conference in San Diego, we chose to donate one laying hen per guest at our reception, to the rural people of Kenya. A laying hen may, in addition to providing a supply of eggs on the table, generate a good income in short time. If the family sells some of the chickens and the eggs that the hen will lay, it can create money for necessary purchases and school fees. By helping families get out of poverty this way, society at large develops. The children get the opportunity to go to school and can then be involved in and influence the development of their countryside region. Our partner this year was Eriks Development Partner. During this year’s INTA conference in Hong Kong we hosted a reception for clients and partner organizations at the restaurant The Pawn. Our aim with the reception this year was to fight poverty by stimulating entrepreneurship. 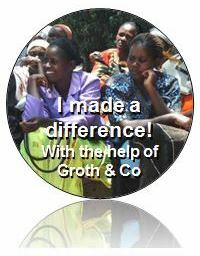 And more precisely to educate and assist women of Kenya to start their own businesses and become self-supporting. Therefore, for every attending guest we would donate funds that would be used to create sustainable businesses among poor rural people in Kenya. The money has been handed over to our partner organization Hand In Hand to get the project started. Hand In Hand has a model for business creation that includes group creation, education, funding and scale up activities. You can read more about the model on Hand In Hand’s website. Due to a great number of attendees at our reception we were able to start 50 new businesses! At the INTA conference in Dallas, Texas, we hosted a reception for clients and partner organizations at the Dallas World Aquarium. The theme for this year’s reception was that for every attending guest we would donate funds to build water ponds in Mashuru, Kenya, with our collaborative partner Eriks Development Partner. The water ponds are used to collect water for farming and come with an easy-to-use irrigation system. In building these, we help creating sources of livelihoods for the Maasai people, and to help them grow nutritious vegetables. A single pond covers the needs for one entire village and a school. Due to a great number of attendees we were able to build eight ponds! 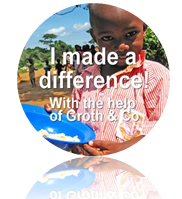 At the INTA conference in Washington DC in 2012 we arranged a reception for customers and colleagues and donated a sum of money for each guest attending to build a school kitchen in the village of Kaswa in Uganda with our collaborative partner, Eriks Development Partner. Some 400 orphans and children from the ages of 4 to 14, whose parents cannot afford to pay the school fees, currently attend the school. A school kitchen means that these 400 and many more in the future will have a wholesome breakfast and lunch every day. The new kitchen will improve the quality of the food and the working environment for kitchen staff. It will reduce the school’s catering costs by over 50 percent. 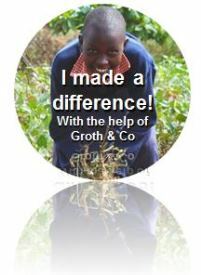 At the INTA conference in San Francisco in 2011, we chose to donate a sum of money for each person present to a water well in Mali, together with Erikshjälpen. Our well is dug in the area of Tiakadougou-Faraba, a rural area where the population is totally dependent on agriculture and is self-sufficient. The supply of drinking water has been very limited for many years, especially during the long dry season that extends over eight months of the year. The well has three major advantages: 1. It ensures access to water throughout the year. 2. It provides guaranteed clean drinking water by protection from pollutants. 3. The well is fenced off and thereby eliminates the risk of children or animals falling into it. People who would otherwise become sick or, even worse, die from polluted water can now enjoy clean drinking water. It was in 2009, at the INTA conference in Seattle, that our CSR commitment began. Instead of handing out gifts that might end up in the waste-paper basket, we wanted to give something more meaningful. At our reception, we promised to plant one tree for each guest present. Together with Vi-Skogen – an aid organization that started in 1983 – we planted 352 fast-growing trees around Lake Victoria in Kenya, Tanzania, Rwanda and Uganda. The trees prevent erosion and fertilize the soil, which results in increased harvests of crops such as beans and corn.